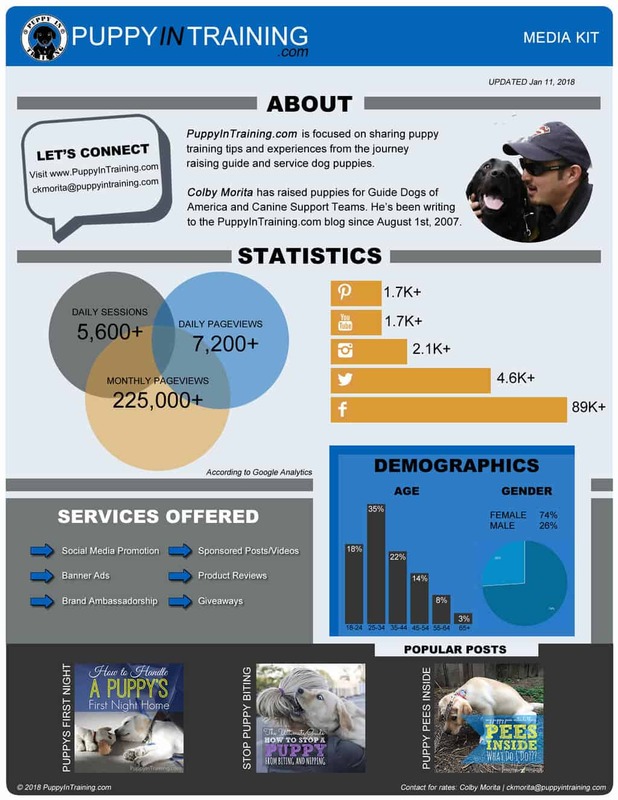 Thanks for your interest in advertising on Puppy In Training. Please contact me to get details on blog traffic, social media channels, demographics, and partnership opportunities. In order to follow Google Webmaster Tools Terms of Service all advertising links will be “no follow” links. If you are interested just send an email to ckmorita [at] puppyintraining [dot] com or visit our contact form.